Nitti Australia are suppliers of safety footwear, including Nitti safety boots which have gained popularity and trust among customers for providing superior durability and comfort while protecting feet in the harshest of environments. 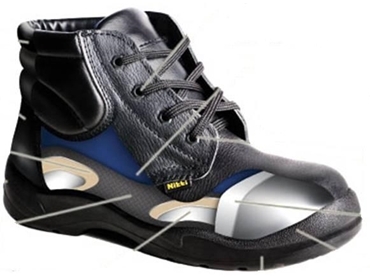 Nitti safety footwear is designed by renowned Italian safety shoe designer, Mr Franco Losio, and is manufactured in Asia by Nitti’s 100%-owned, fully-equipped facility featuring the latest manufacturing technologies. direct injection superior quality polyurethane outsole for lightweight comfort, non-marking, chemical resistance and durability. Since its introduction into the safety footwear market, Nitti has transformed into an international organisation that serves many industry sectors, with its quality manufacturing standards being recognised by most certification bodies.